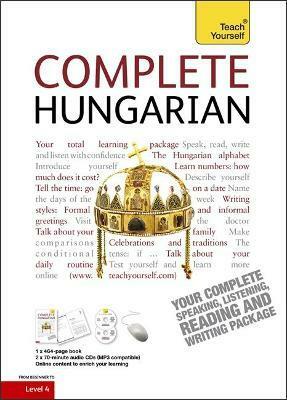 Complete Hungarian is a comprehensive book and audio language course that takes you from beginner to intermediate level. : 1. Your passport, please! : 2. Would you like a black coffee? : 4. How much does it cost? : 5. Where's Blaha Lujza Square? : 6. How are things? : 7. We're moving house on Monday! : 8. I love going to football matches. : 9. Are you cold? : 10. I'll be there at 7.
: 11. What size do you want it in? : 12. How long are you staying? : 13. I'll be fishing with Dad. : 14. And where did you learn to dance? : 16. I had a very good time. : 17. What's wrong with you? : 18. What were your parents like? : 19. I much prefer it. : 21. Where shall we go? Zsuzsa Pontifex was born in Hungary and runs Pontifex Language School, her own Hungarian school in Budapest. She has been teaching Hungarian to diplomats, business people and private individuals since 1989.